Elaine Hancock (Olney, United States) on 10 October 2017 in Animal & Insect. 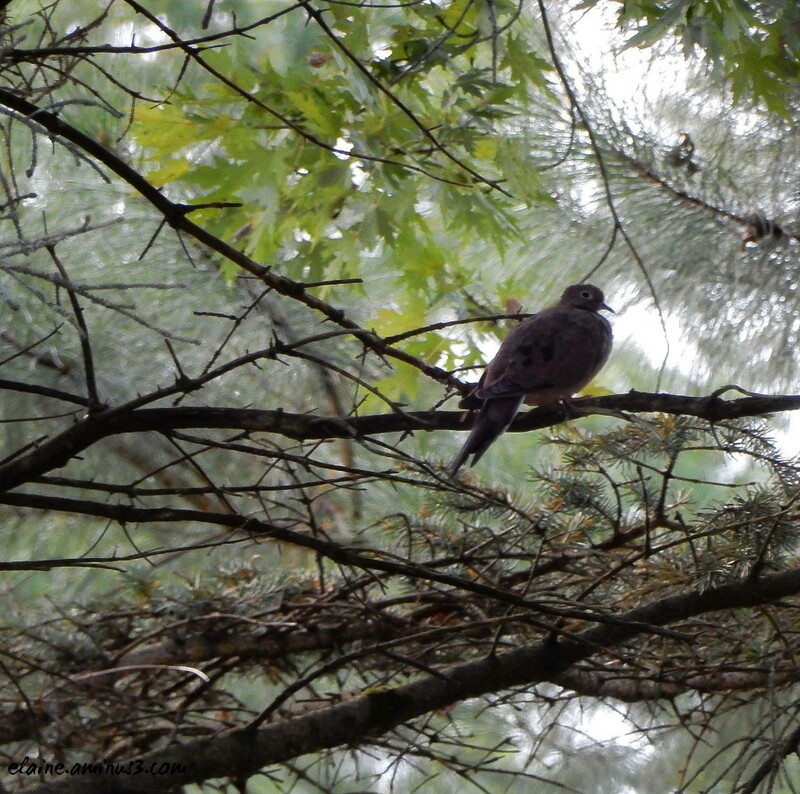 Mourning Dove hidden under a tree. Very beautiful in the leaves ! there is a sweetness to this image that I love. SHe looks so cozy surrounded by the branches. The dove is being careful to stay in a safe place. Birds must always watch for predators who are larger. A beautiful capture here! They are so shy. Great selective focus on the dove amongst the foliage and branches!! Superbe oiseau dans la branchage quelle vue mervielleux.